The Tri-M Music Honor Society is a program of NAfME (National Association for Music Education). The three M initials stand for Modern Music Masters. The purpose of this organization is to inspire music participation, create enthusiasm for learning, stimulate a desire to render service and promote leadership in the music students of secondary schools. Tri-M focuses on creating future leaders in music education and music advocacy. Tri-M is the only national honor society for student musicians in middle and high school. There are more than 1,800 chapters across all 50 states, involving more than 75,000 students. Tri-M recognizes outstanding music students and the importance of music education. The RLCA chapter of Tri-M strives to inspire music participation, create enthusiasm for scholarship, stimulate a desire to render service, and promote leadership in the music students of our school. The chapter adviser is responsible for candidate selection. Chapter advisers will provide a written description of selection procedures to all music students and parents. 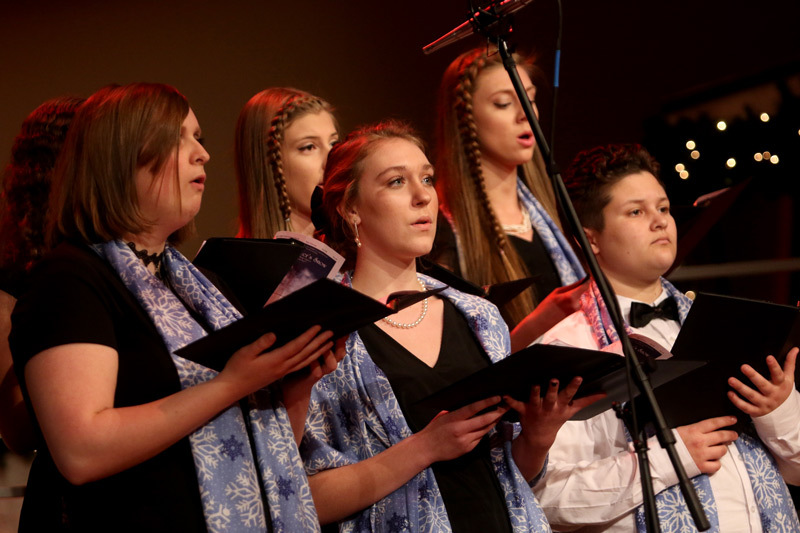 Music Participation – Candidates must have been enrolled in a school-sponsored music ensemble and/or class for at least one semester of the current school year. Academic Achievement – Candidates must have maintained for the previous semester at least a B average grade or equivalent in music, with at least a cumulative C average grade or equivalent in other academic subjects. Leadership – Candidates are encouraged to have leadership roles in school, their local church or community. Service – Service is a major part of Tri-M. The RLCA chapter requires 10 service hours per academic school year. The service hours may be satisfied as a club or individually. All projects must be approved by the chapter adviser prior to beginning the project. The Tri-M service hours are above and beyond any service hours required by RLCA for graduation, or any other organization at RLCA. Character – Candidates are encouraged to demonstrate “the fruit of the spirit”, as well as respect, responsibility and trustworthiness. Master Musician – Member who excels in music, is highly qualified as a performer with a basic knowledge of music theory, has achieved success in the performance field, and has been particularly active in performing in school and community functions. Tri-M Leadership – Member who is a prominent leader for school, chapter, church, and community organizations and activities in addition to his or her involvement with music. Candidates need not be award-winning musicians to be considered. Tri-M Outstanding Service – Member who has demonstrated exceptional examples of service through school, chapter, church, and community organizations and activities in addition to their involvement with music. Honor Ensemble Participation – Member who is selected to represent their school in a music honor ensemble.